When you stay at B&B Il Marranzano in Giardini Naxos, you'll be on the waterfront, a 2-minute drive from Giardini Naxos Beach and 10 minutes from Isola Bella. 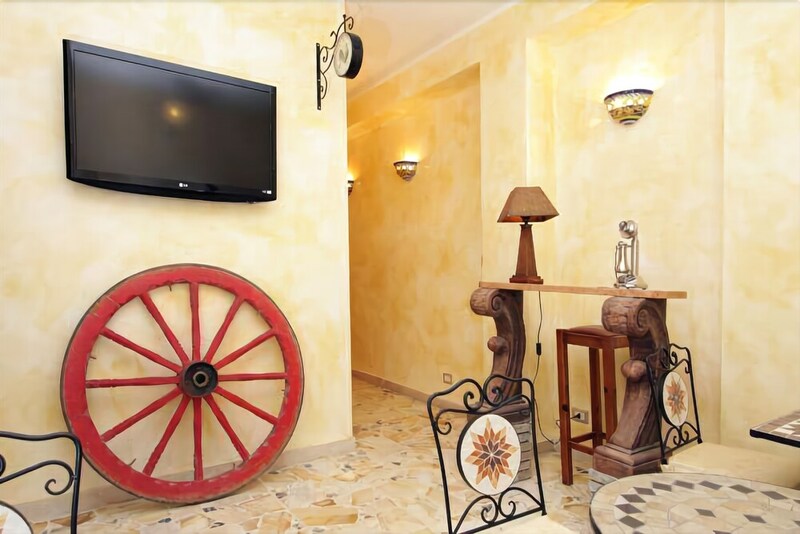 This bed & breakfast is 4.5 mi (7.2 km) from Taormina Cable Car and 4.6 mi (7.5 km) from Greek Theatre. Make yourself at home in one of the 3 air-conditioned rooms featuring refrigerators and minibars. Rooms have private balconies. Complimentary wireless Internet access keeps you connected, and satellite programming is available for your entertainment. Private bathrooms with showers feature rainfall showerheads and complimentary toiletries. Grab a bite from the grocery/convenience store, or stay in and take advantage of the bed & breakfast's room service (during limited hours). A complimentary breakfast is included.